The Police version of any car has a special attraction because of the cop shocks, cop steering, cop motor...etc...but within the Fox-body world it brings the added cool factor of being an LX notchback version. On all other Mustang body styles the fastback was way cooler, but with the Fox (1979-1993) it somehow flipped the equation. 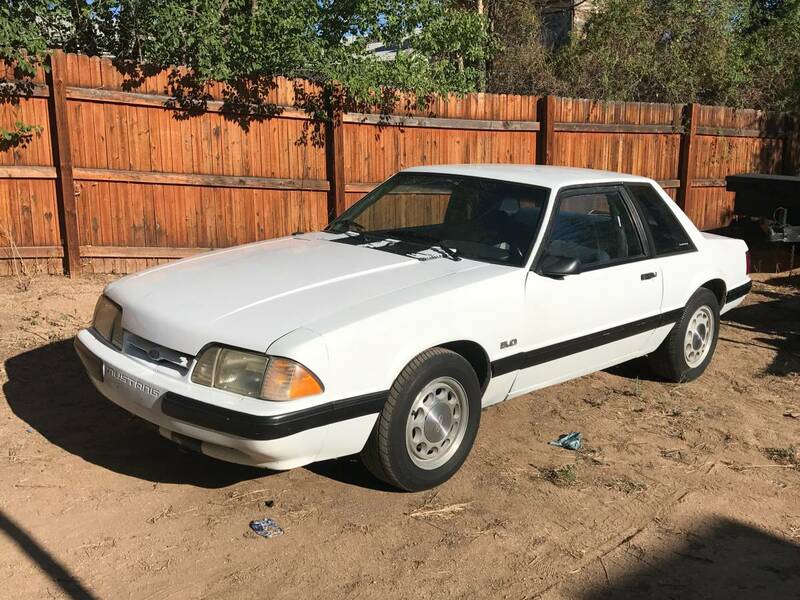 Find this 1989 Ford Mustang LX SSP offered for $5900 near Albuquerque, NM via craigslist. Tip from Rock On! 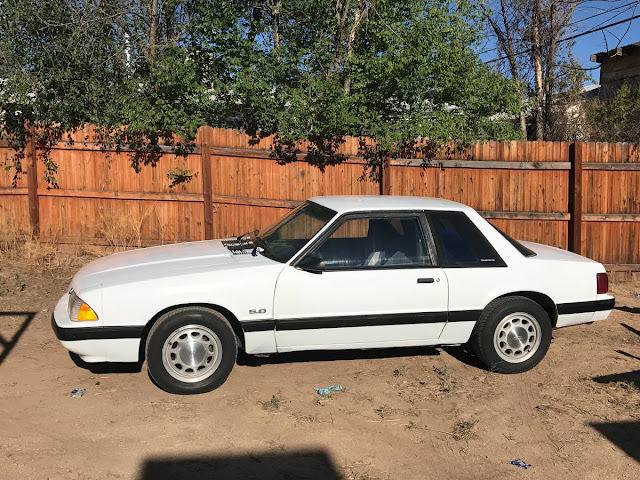 I've been torn about doing it, but I've decided to sell my 1989 Ford Mustang LX coupe. I have been tinkering with it and doing little things to try and restore it to its former glory days. This car is a Special Service Package (Police Car), and is verified to be the ONLY SSP that Aurora Police Dept. ever ordered in the Fox platform. The car was ordered without a radio and does not have one in it now. Very few modifications. Bassani X-pipe and Mac catback, cone style air filter. Best way to tell if it is a true SSP car is by looking for sprinkles in the floor mats. Love Sean's authenticity test. But you're wrong, the hatch is cooler. I had a gray '89 LX 5.0 notchback about 20+ years ago. Being that it was the lightest of the bunch it was also the quickest. After owning a couple hatch models, I must say I dig the simplicity of the notchback. The '86 to '93 years really had a strong short block right from the factory. My '86 was converted to an '89 ecu/mass air system + everything North of the short block had been upgraded via Ford Motorsport's SVO/GT-40 package (ie, heads, cam, roller rockers, upper/low intake, long tubes, etc). Even after almost 40k miles with the engine upgrades (100k+ miles when I eventually solid it) coupled with a fair amount of street racing for a few years, it still ran like a top, no blue smoke, etc. Miss those cars! The older Mustangs were true fastbacks, with separate small trunk lids. The Mustang II and Fox went to a hatchback type design where the rear window glass lifted up with the lid, but kept the conventional notchback as an option. Maybe this has something to do with Fox notches being cooler? Could we say that any Mustang with a separate trunk lid is therefore more desirable than one with a glass hatch? Note that the later generations starting with SN-95 and continuing through today all have separate trunk lids, even though they feature fastback styling. Sort of on that note, I think the demise of that big hatch had something to do with the need for more stiffness in the chassis. The Fox bodies had a bit of a reputation for flex and more B pillar/slightly longer roof line helped that.